Facebook promotion one of the important factor in current world.A few years back when Mark Zuckerberg came up with his concept of a social networking site and named it Facebook, he had no idea what it would become in the time to come. Facebook promotion has quite literally revolutionized the way we look at social networking. With over 700 million active users, it is definitely the biggest platform you can get if you seek to engage with many people simultaneously. Though Facebook is the premiere social networking platform, it also holds a lot of potential for businesses. The fact that it can help businesses in growing and reaching out to a new customer base has added to its popularity. Many people feel that simply having a page or a group on Facebook promotion is enough to help their company. It cannot be further from the truth. In fact, if you are not going to use it properly, then it can be more disadvantageous than not being on Facebook. Make sure that you do not leave your page or group after a few days. It reduces participation and gives your business a bad name. Do not spam through your pages, it is the simplest way to lose customers. Make sure that your fans and members are rewarded for being there. You could give them free coupons via Facebook or something similar. Customer Interaction – Facebook pages provide a forum for dialogue between customers and the brand, giving companies the opportunity to build better relationships with target audiences and current customers. Reputation Management – Facebook allows a company to gain a deeper understanding of how the brand is perceived online – through direct feedback and also by monitoring what users are saying about the brand. New Customer Acquisition – Each time a Facebook user becomes a fan of a Facebook page, a notice is posted as news item for all of that user’s friends to see. This creates an opportunity for a Facebook page to go viral and reach new viewers. Feedback Mechanism – In a service-based sector like hospitality, customer feedback is vital. 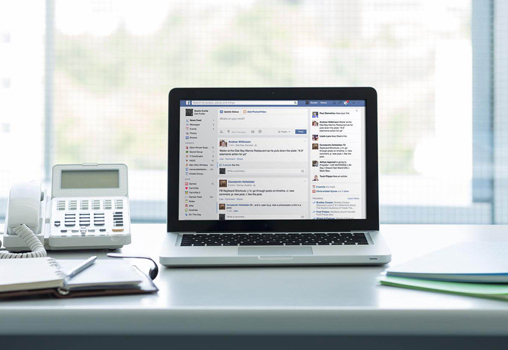 Facebook allows users to communicate their experiences directly and give the company the opportunity to respond. Branding – Facebook can be used as a medium for creating brand awareness in addition to a company’s corporate website. It provides brand exposure to a potentially new audience and gives organizations the opportunity to position themselves in new and unique ways. Drive Web Traffic – As a Facebook page grows its fan base, traffic to the company website will increase. Facebook pages also appear in Universal Search Results.